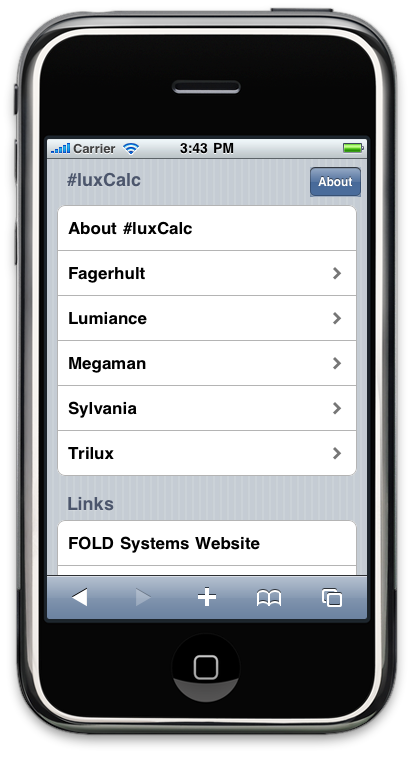 Visitors using Android or iPhone/iPad arriving at www.fold1.com will from now on be transferred to the mobile site where a special small form calculator called lightingCalc is available. 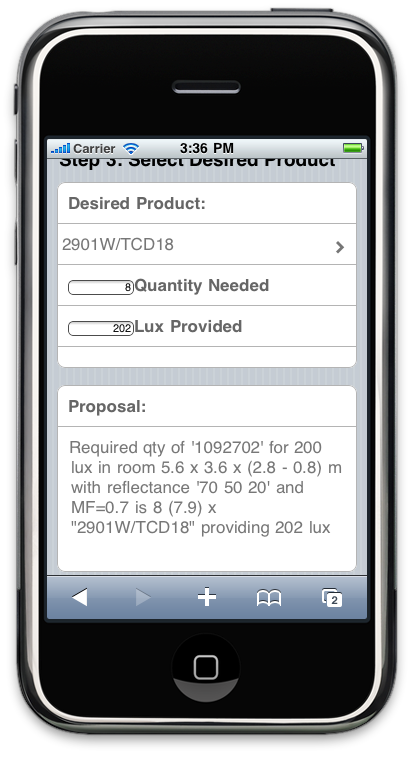 The initial screen shows a list of brands that have products available to design with. ...and lighting task details, you get a very short form proposal. 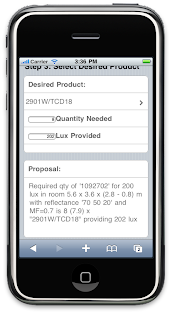 With this proposal you have the option either to email to the brands customer service desk in your country, or to place a phonecall to the local custiomer service desk (when available). This last piece of functionality is not very stable yet, but it will be operational soon. 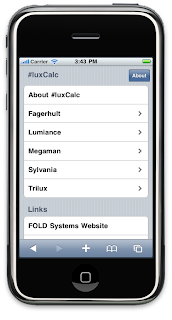 Technical details: the mobile site is built using HTML5, CSS, jQuery, and jqTouch. 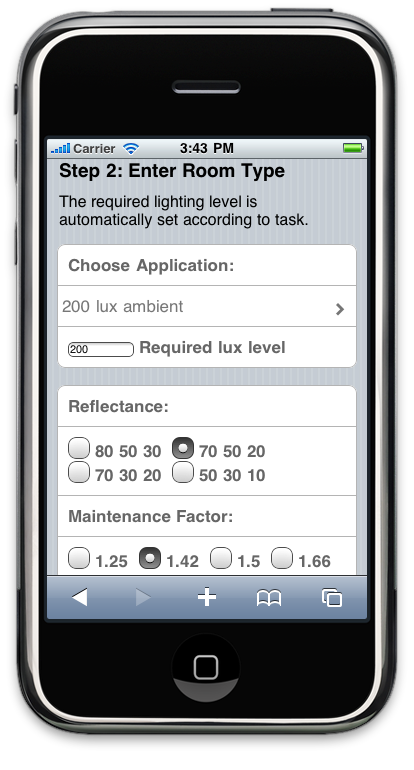 Today we released version 0.7.2.v20101210 of EulumdatTools, Eclipse based workbench for photometric files. 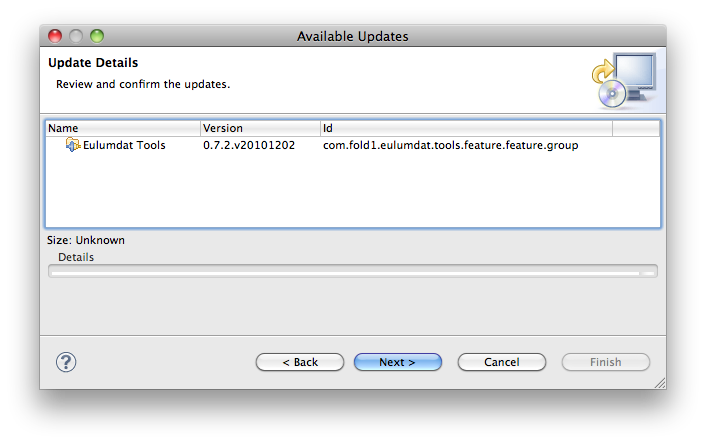 Version 0.7.2.v20101210 is available as an update to the standalone version EulumdatTools RCP and EulumdatTools plugin for use in the Eclipse IDE. How to upgrade: To upgrade select menu Help/Check for Updates and follow from there. handling of files with some symmetry and non-equidistant C-planes in the photometry, that failed until now. handling of different character sets: all the ISO-8859-x character sets are now recognized in addition to UTF-8. This is especially useful for those converting IES files of lamps produced by Chinese manufacturers. Also product names with accented characters as found in EULUMDAT files of European manufacturers are now handled properly. Proper handling of changed product geometry specs in IES format LM-63-2002. Some speed improvements in the conversion and validation routines. Please note that the same improvements are deployed to the online IES-EULUMDAT and EULUMDAT-IES converters found at IES2EULUMDAT. When you need to convert IES to EULUMDAT or EULUMDAT to IES format, you can now use the free online converters at Googles Appspot. 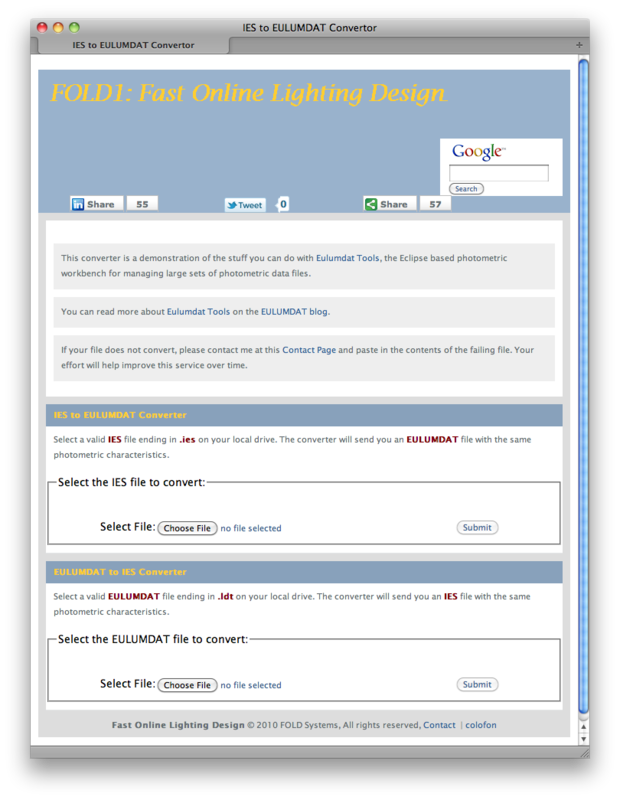 This is a testbed for conversion code to be included in the next version of EulumdatTools, an Eclipse based workbench for editing and managing photometric files. 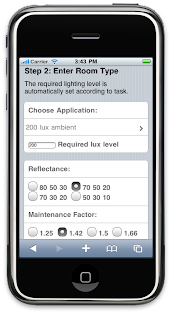 Today we released version 0.7.2 of EulumdatTools, Eclipse based workbench for photometric files, which is a regular maintenance update to extend the enabling of new code trials. 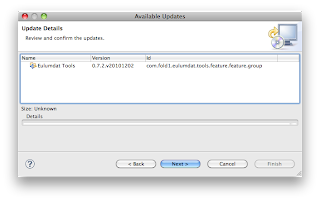 Version 0.7.2.v20101203 is available as an update to the standalone version EulumdatTools RCP and EulumdatTools plugin for use in the Eclipse IDE.How to upgradeTo upgrade select menu Help/Check for Updates and follow from there.